The struggle is real for us curly-haired girls at this time of year. After a whole summer of fighting humidity-induced frizz, you would have thought Mother Nature would give us a little bit of a break. But, no. In come comes the wind and the rain and there goes all hope of having a good hair day. I have come to the realisation that frizz is just a part of life for me and I will probably never have perfect, frizz-free curls unless I use a whole lot of heat on my hair then never leave the house again - or even go near an open window. But that doesn't mean that I can't try to get as close to perfect curls as possible. In my journey to reduce frizz and really bring out my curl pattern, I came across Noughty Haircare. 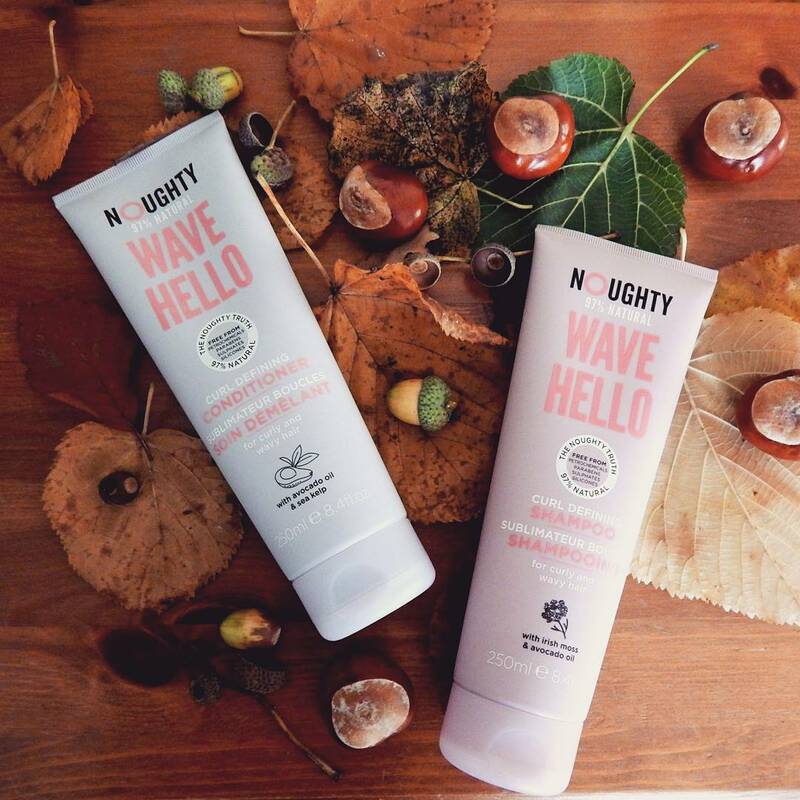 Noughty Haircare has recently started being sold in Superdrug and they cater for hair types across the board. But here's the best part: they are 97% natural, vegan, and cruelty free. Of course, I snapped up a shampoo and conditioner from their curl range as soon as I laid eyes on them. And what sweetens the deal is that the packaging is just so pretty - I swear, these products are a blogger's dream. They even contain avocado - what's not to love? In terms of the products that I purchased, I would say that they would be well suited to wavy hair or a loose curl type. They made my hair very shiny and I felt like my curls were definitely very moisturised after using the products. They didn't exactly add much to my curl definition but I could certainly see a reduction in frizz. I would definitely repurchase the shampoo again as I like that it is paraben free and doesn't cause my hair to tangle like many other shampoos do. The conditioner was good to have to change up my products every so often but I wouldn't rush to repurchase it because I found that it made my hair feel a bit heavy although it did give it a high level of shine which I was happy about. I would recommend these products to give your hair a lift if it is feeling a bit dull in this weather. There products seem to be really moisturising and I can attest to how they leave your hair so shiny and soft. These products would be perfect for anyone with a loose to mid curl formation and I enjoyed experimenting with a new brand. I applaud Noughty Haircare for creating a range of natural, vegan, cruelty-free products as it is difficult to find good products for an affordable price that aren't packed full of chemicals. I hope more haircare brands follow suit. Have you ever tried Noughty Haircare? What did you think? I've just stumbled across your blog and I absolutely adore your photography style, it's made me look forward to Autumn so much more!